‘The Art of in Game Photography’ by Video Game Tourism. And, of course, we still immortalise the special moments in our lives – the grand vistas, the momentous occasions, the triumphs and memorable achievements. And as with many other things, these moments have also drifted into the virtual spaces we inhabit. Games are spaces of experience as much as entertainment. It shouldn’t surprise us that the photographic gaze, that eye for composition and purely visual aesthetic, finds ample opportunity for snapshots in these virtual spaces. In fact, it’s surprising that in-game-photography – for purely aesthetical reasons as opposed to documenting victories or snapping a pic of an impressive vista for use as a desktop wallpaper – is still as unexplored a country as it still seems to be. A few game-photographers, however, have started to travel these gaming spaces to hunt for pictures. The best-known and most widely publicized of these pioneers is Duncan Harris of deadendthrills. The English games journalist compares his ultra-stylish, high-gloss pictures of games tweaked to look their very best to still photography in movie production, and like movie stills, his work is increasingly professionally used by game companies to promote their products. Recently, Harris was even given an advance build of Dishonored, Arkane’s upcoming steampunk-thriller, to fuel anticipation and provide an advance glimpse into the games visual and stunning worlds.Harris’s professional game-photography is breathtaking in its own right, but he is not the only photographer with a keen eye for “videogame tourism” and the convergence of virtual spaces and photography. James Pollock, graphic design student in Bath, England, collects his in-game-photography on his blog Virtual Geographic. He says he was originally inspired by deadendthrills, but ultimately opted for a completely different approach: Instead of emulating Harris’s high-end, tweaked-up high-gloss technique, he took a comparably low-tech route and started to take pictures of his TV-set with his iPod, using Instagram and Hipstamatic for added effect – a clever workaround to most consoles’ restricted – or non-existent – screenshot-capabilities. Like urban spaces and architecture, game environments, especially those in open-world-games with freely explorable, three-dimensional playing grounds, are wholly man-made and constructed. It’s not surprising that architecture, especially an architecture unbound by reality’s constraints, is a favourite theme of in-game-photographers. The pictures of Australian gamer Iain Andrews, collected on Steam Postcards, concentrate on the details of these environments, the back alleys, corners and decor of these virtual spaces made for navigating through them. Like Joshua Taylor’s pictures, collected on his blog NOTRL, Andrews’ work documents the lovingly crafted worlds and details that are destined to be overlooked by most gamers. Contrary to Harris and Pollock, Andrews as well as Taylor retouch their pictures only sparingly and mostly settle for unmodified screen captures, without tweaking or modding the basic games (another advantage of PC-gaming in comparison to consoles). 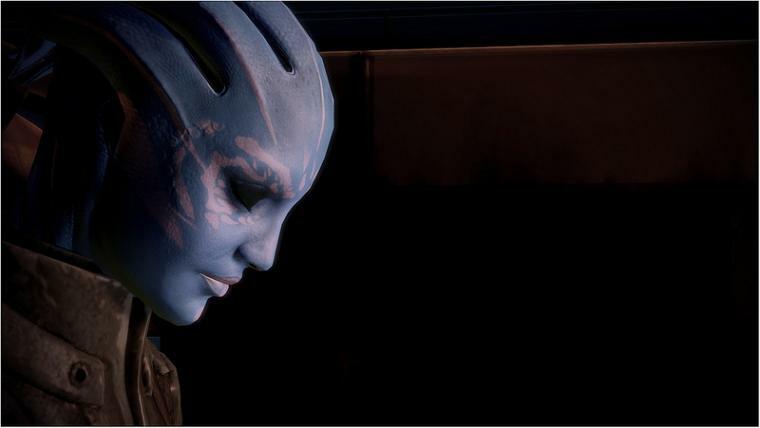 Josh Taylor, resident of Richmond, VA, also experiments with narrative; in a project titled “Shepard’s journey’, Taylor attempts to document the Mass Effect trilogy’s story arc in stunning images of environments and character portraits – a feat even more impressive given the looming dangers of the Uncanny Valley in regard to computer game actors. 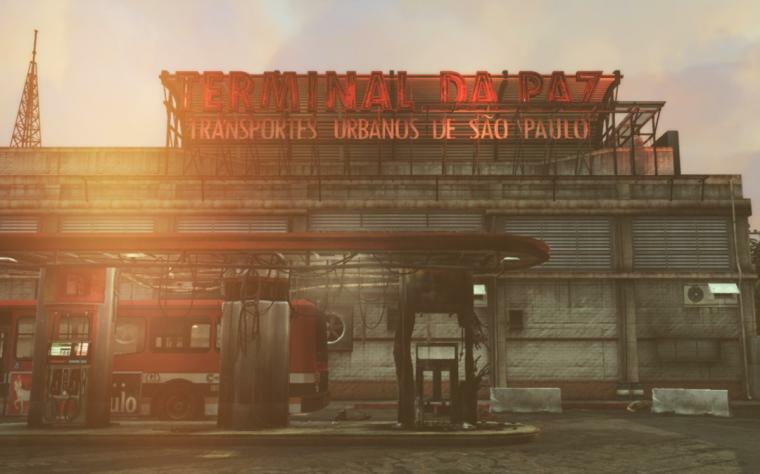 Photographing the unreal, sprawling architectures of gaming’s SF and Fantasy worlds is a challenge, but there’s also another opportunity to juxtapose reality and games: Sao Paulo-based photographer and graphic designer Leonardo Sang’s “virtual reality photography”-project uses games as a platform for what he calls “everyday photography”, and his pictures of Max Payne 3’s Sao Paulo have their place beside his real world photography of his city. Sang’s interest in in-game-photography was piqued by GTA IV’s virtual cellphone camera, another in-game toy in Rockstar Games’ open-world sandbox, and by his realization that any open-world-game offered the same opportunity for photography as the real world. Leonardo Sang’s Max Payne 3It seems ironic that, in Leonardo’s case, it was a virtual item, a virtual mobile device with a virtual camera, that led him to in-game-photography. But in the end it’s only logical: As in real life, it’s these ubiquitous mobile devices that brought photography to everyone’s pocket and started today’s deluge of real everyday photography, to be witnessed on Instagram, Flickr and milions of Tumblr-Blogs. This entry was posted in 352MC and tagged game photography, online photography, video game tourism. Bookmark the permalink.